TV manufacturers all rely on the same type of footage to show off their TV screen quality in stores. It’s either last summer’s movie or a bank of generic stock-library footage. 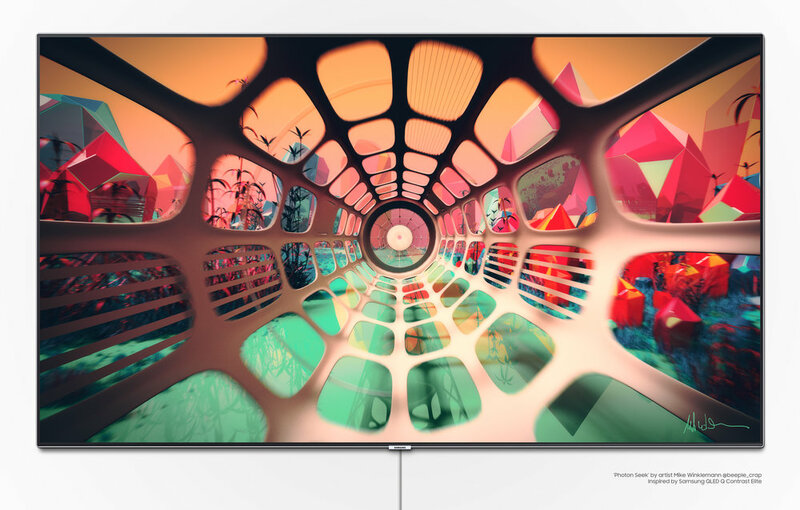 To showcase the 2018 QLED TV, we partnered with five artists who interpreted the QLED’s features through visually striking animations. The videos were on display at the inaugural First Look event, shared across global and local Samsung channels, and published by the artists themselves. Artist content contributed to a +64% lift in consumer buzz versus the previous year as the brand gained over 7,000 new fans on social.